WHAT I NEED TO SUCCEED. 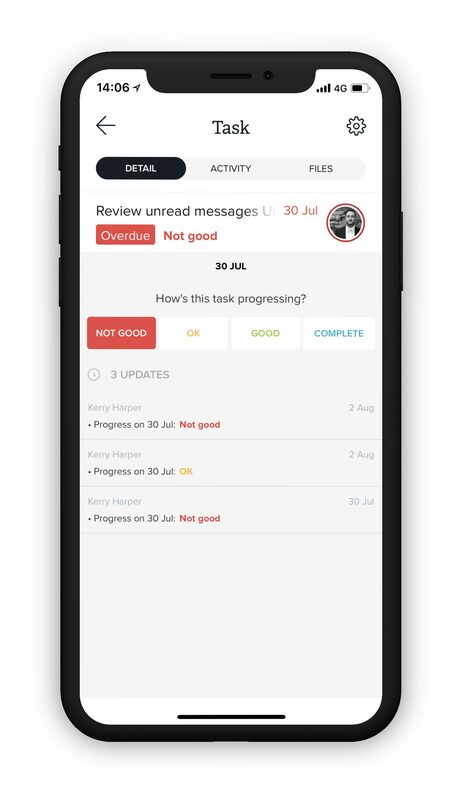 Able to track your team’s to-do list. Provides clarity on team activities and performance. Clear and present prioritisation of actions across the team. Transparency on team activities and performance. Able to efficiently report progress. Able to identify and address bottlenecks, issues, and poor performance. 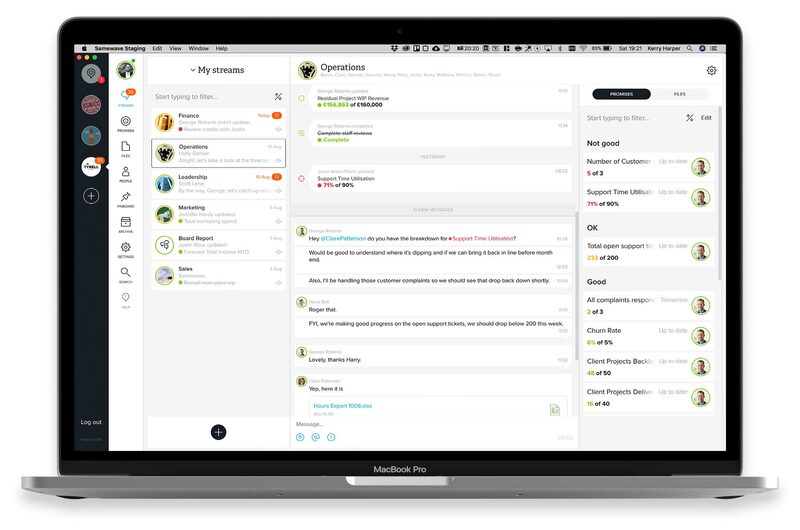 Eases communication and collaboration around the team's objectives. Quick one-off tasks, repeating to-do’s, long slow-burn actions, complex financial targets. Samewave makes capturing and measuring these types of promise a breeze. 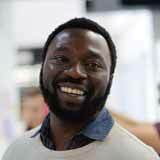 Simply create a new promise, assign it to the right person in the team to own it, and you’re done! No need to chase up on progress either - you’ll get notified if there’s a progress update AND if the owner runs late! Streams are at the heart of Samewave and are the engine room of your team. 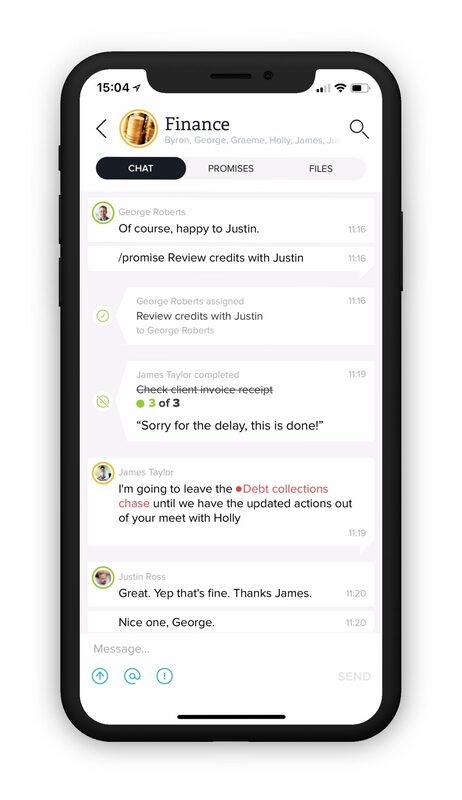 Real-time advanced chat features, with simple intuitive traffic light status reporting of your promises performance, with file management and automatic reports sent out to suit your team’s rhythm. And notification settings that can be configured to suit your focus, you won’t miss a beat. 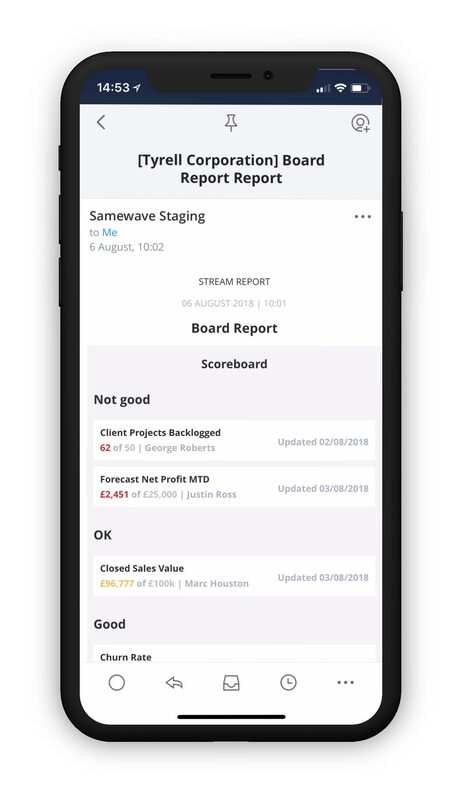 Samewave’s automatic stream report feature lets members see a rundown of the team’s performance against their promises without needing to be in the app. The report mailout can be set to any frequency - whether one hour or one week. Every member receives an email with the stream report, giving the project a vital rhythm, and the resulting engagement is known to increase productivity by up to 18%. Nothing keeps a promise better than a close eye. Successful teamwork requires accountability – getting things done means getting things seen. Visibility is key to team pressure, and team pressure keeps the blood pumping. Samewave helps you track and share team obligations; without anonymity, team members stay on track and understand the role of each individual team member. This transparency motivates project workers and increases output by effectively eliminating free-riding and loafing individuals. Explore the full list of features and functions that underpin Samewave. Samewave fits seamlessly into your workflow no matter your position in the team. SEE HOW SAMEWAVE HELPS TEAMS DELIVER ON THEIR PROMISES. Samewave helps me identify and track key drivers business-wide so that I can keep everyone on the same page. That way we can successfully achieve our strategy. Samewave’s great for helping keep track of how my business interests are performing. For me, the best thing about Samewave is being able to hold the executive teams accountable.